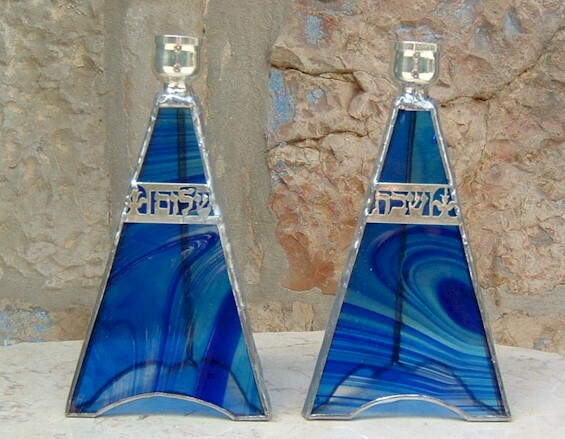 This beautiful stained glass shabbat candleholder is handmade by Chaim Peretz in his workshop in Nachlaot, Jerusalem, Israel. 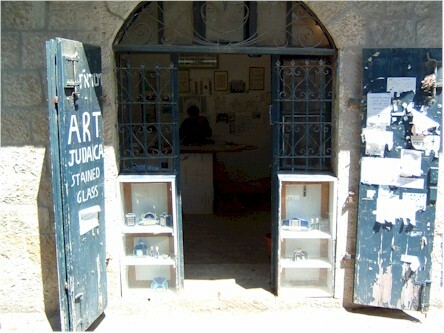 The silver etchings say "Shabbat" and "Shalom". 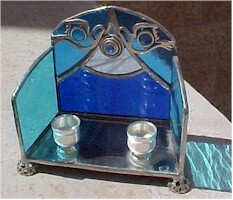 Each piece is unique, completely handcrafted and 100% ready for use on Shabbat and holidays. 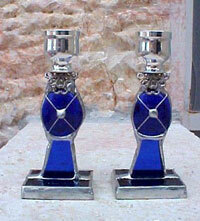 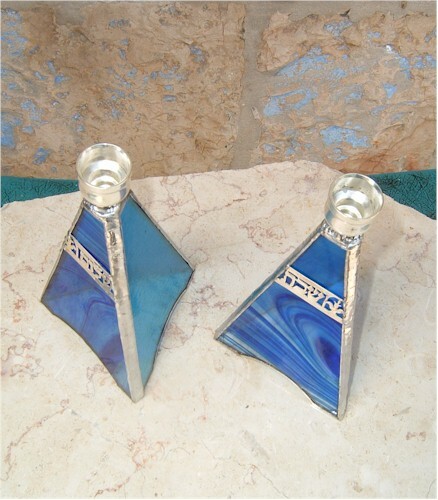 The "Shabbat Shalom" candleholder set is an elegant stained glass and sterling silver piece. 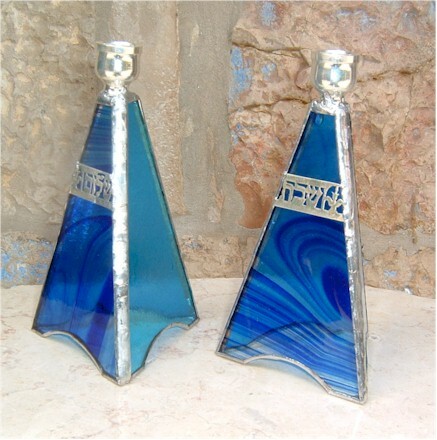 Its beauty remindes the giver of the beauty of lighting the shabbat candles, peace and Jerusalem. 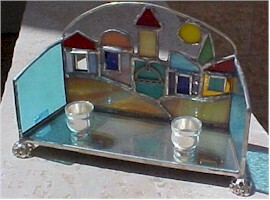 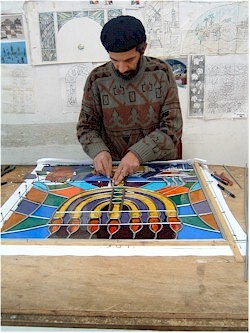 Made from stained glass and sterling silver.